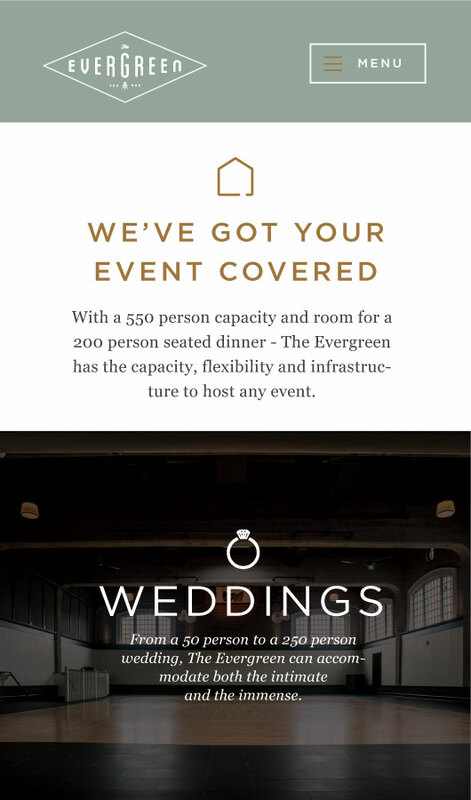 The Evergreen event space needed a clean, timeless identity that would appeal to a wide range of potential customers. 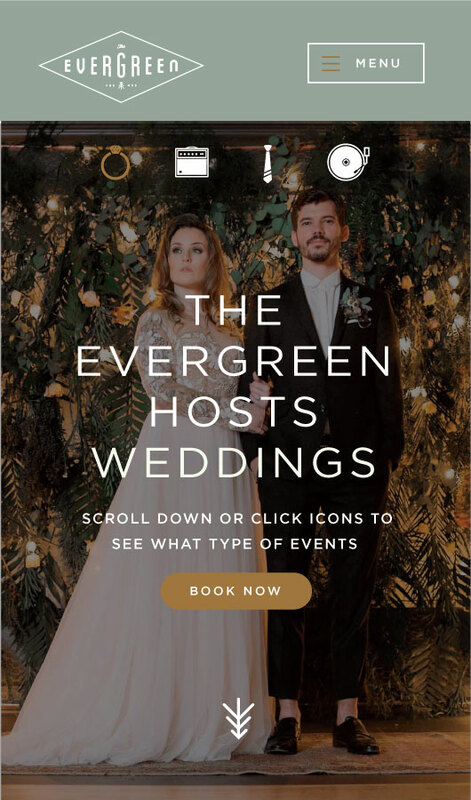 The Evergreen’s purpose is to be an event space worthy of Portland and its residents—a venue to celebrate everything exceptional about this amazing city. 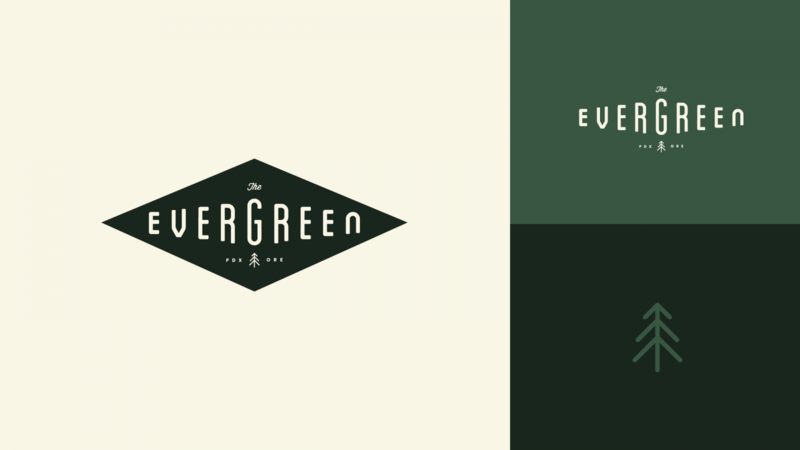 The Evergreen’s logo needed to appeal to a wide audience. 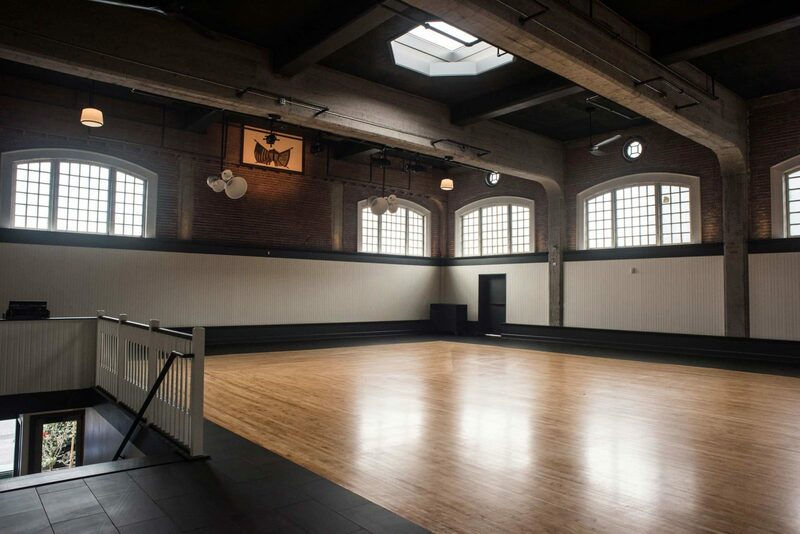 This included people looking to hold corporate events, weddings, concerts, and bat mitzvahs. The diamond shape and diminishing perspective of the lettering hints at the architecture of the building and creates a sense of space. 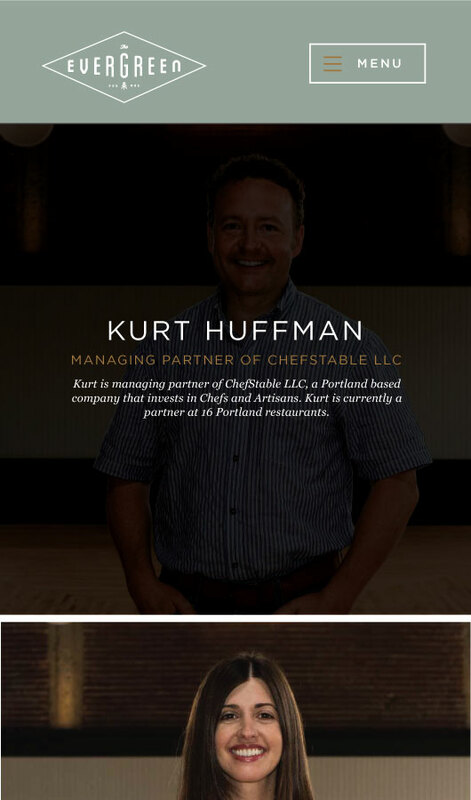 The elegant script suggests sophistication while the modern san serif is modest and approachable. 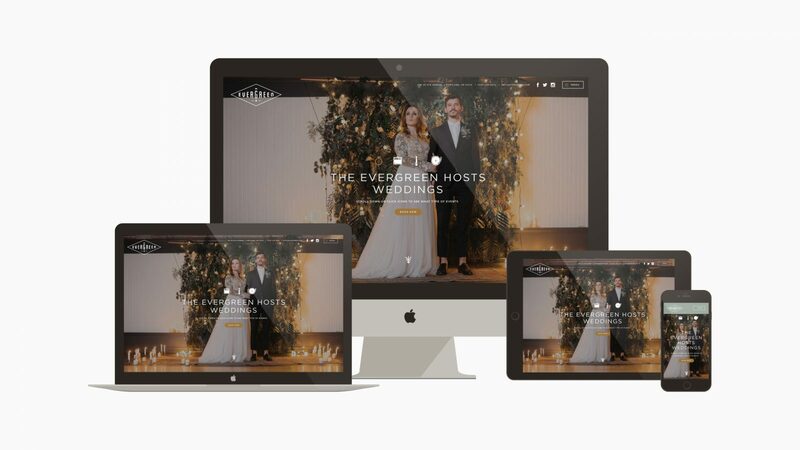 We also designed a fully responsive scrolling website for the venue that showcases its many attributes, amenities, and history. The takeover menu makes navigation simple and easy on all devices.